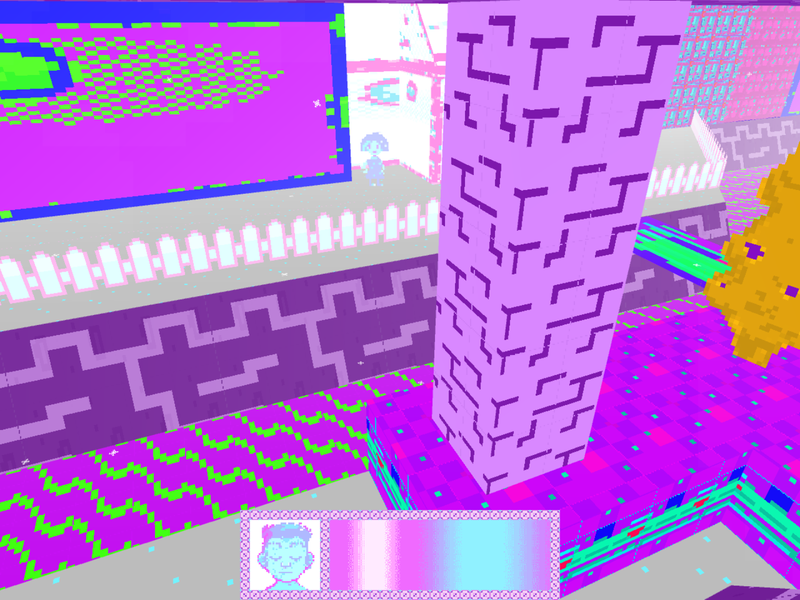 this game was made in a very short time period, by two real 3d trans women - we do intend to patch and update the game yes. If you have any feed back we would love to hear it. visit www.pewkazone.com for more info! CW for this game: Some characters have dialogue which might cause upset or offend, they are all based on things we have heard, read, thought at some point - shared with others. Every aspect of this game comes from experience. Overall we have kept our personal opinions at a distance but we feel confident that there are enough clues in the dialogue options to show where we stand. 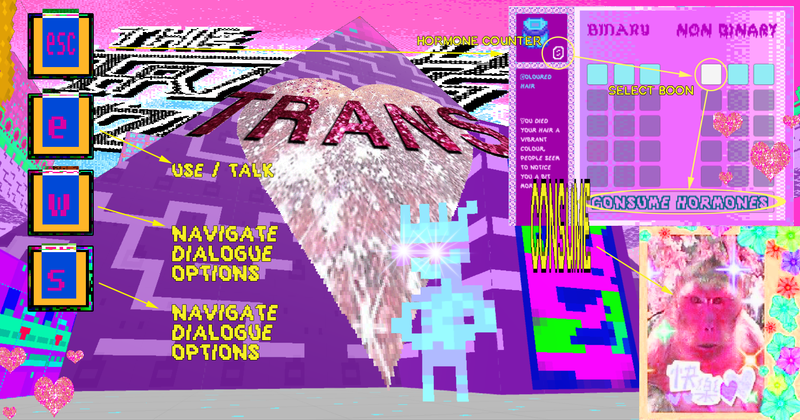 I played The Trans Zone as I was just starting to come out and it helped me understand a lot of things I had been struggling with: It addressed the gatekeeping in trans spaces that had always kept me from seeking community, and seeing transition/hormone effects laid out as a tongue-in-cheek skill tree system gave me a new framework to think about the conflicting feelings I had between my nonbinariness and my very binary gender dysphoria. Thank you so much for putting together this beautiful, ugly, garish, understated, wry, empathetic game! 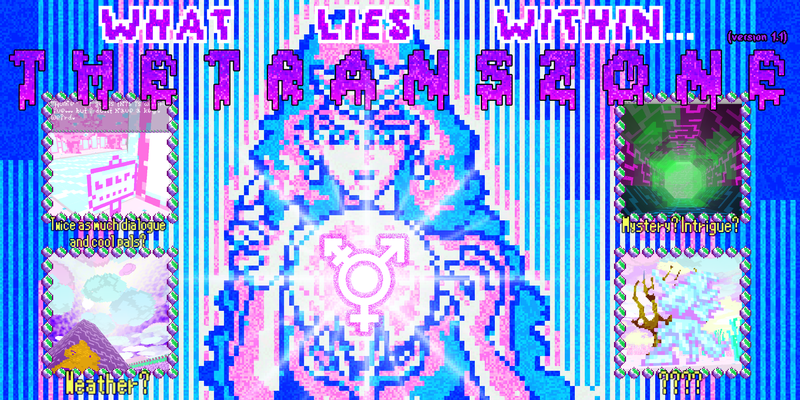 One of the best games about trans life around. Truly unique in approach and unforgettable after a single playthrough. this looks super cool! nice job! Beautiful, stunning and creative adventure, this unique game has a lot of heart <3 can't wait to see future works! This game feels like something I want to chat with the creators about. Like, what does XYZ mean, how does it relate, I want to know more. opaque, confusing, and occasionally terrifying... just like the real thing! This game was interesting, but I'm not really sure how to progress (is the goal to have enough hormones to fill the chart? do hormones affect gameplay?) and because of that I'm not sure if I hit the end of the content or if I just don't know how to move on. At higher resolutions, the conversation elements and hormone menu are so tiny I can barely see them. The difficulty is compounded by the color scheme. It's been listed as high contrast, but with my eye problems, the green in the conversation menu is illegible, especially on a moving background. 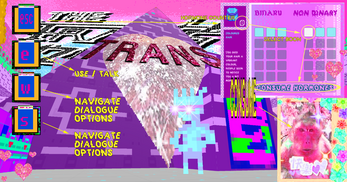 The game is currently built around dialogue and how transition changes the way others treat you - try talking to some characters after filling up the hormone tree! Depending on which way you transition some characters will say different things, some might not even talk to you at all. 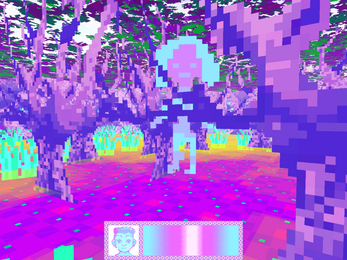 this was a very quick game as well as my first game so ultimately, there isnt much to the game beyond exploration and dialogue - i think when we come back to it in a few months we will update it to have more content, including more areas, more characters and maybe a new system which will give the game a more clear direction. Thanks for letting us know about these issues with the UI and the colours! i will have to look into these asap!